The cold is creeping up on us more quickly than I would like so I had to take one last opportunity to step out in my trusty-old rag & bone jorts. That being said, I’m super excited to pull out the sweaters, leggings & jeans that have been in hiding all summer. Plus, I just copped these rag & bone Newbury booties and Eliz & James Crossbody bag to kick off the season right because who doesn’t like starting off the season with a new pair of classic boots & a badass handbag? Shocker, all black. 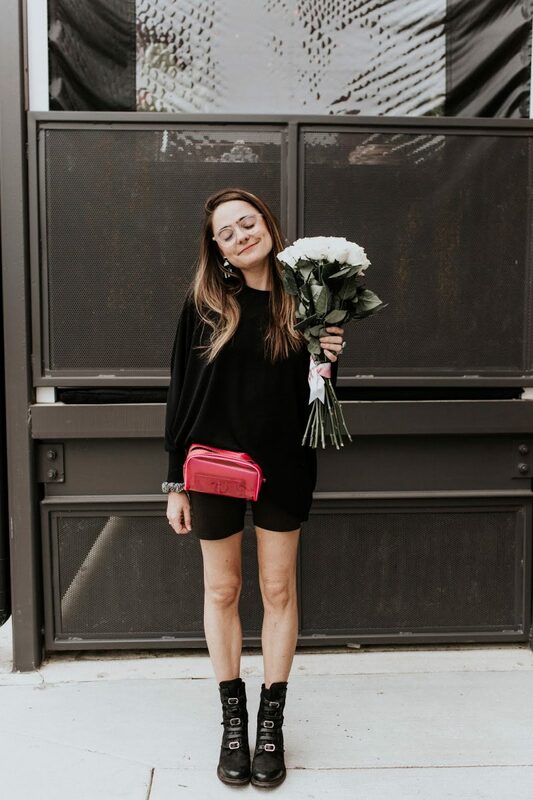 Be prepared to see lots of black coming up on TCP, seeing as no matter what we do, we end up gravitating to sleek monotone get-ups! Happy Fall, Y’all! Elizabeth & James Top. Rag & Bone Jorts. Rag & Bone Newbury Bootie. Elizabeth and James Bag. Gorjana Necklace.